After this past week, it’s safe to say Liverpool’s European legacy counts for something. 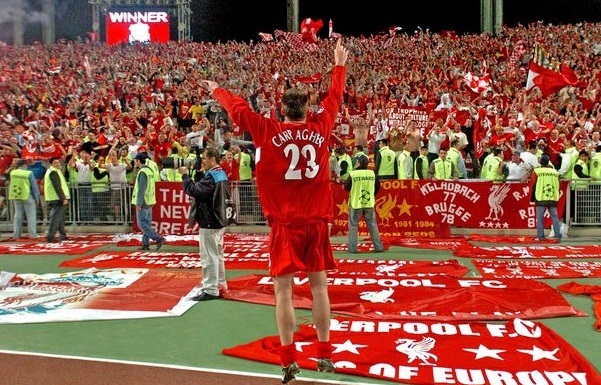 Admittedly, it’s hardly a secret that Anfield has long been a dominating fortress when it comes to European nights, and that the Reds are the most successful of British clubs when it comes to winning in continental competition. We are reminded of it regularly. We enjoy being reminded of it regularly — by other supporters, sports betting sites like pointsbet and pundits that know their history. But when you break down some of the statistics in relation to the club’s European Cup/Champions League success rate compared to that of our biggest rivals, the disparity is even more startling — especially when you consider that most of them spend substantially more than Liverpool do. Of course, we have to preface this by pointing out that the Reds don’t have the recent presence in Europe’s top club competition that some of our rivals do, with just 10 appearances dating back to 2000 compared to the almost annual trek most of the others have made. But when we do get there, we tend to take advantage of the opportunity more than most, and few teams can match our statistical success rate. The Reds have appeared in the competition 21-times before this season, winning it all on five occasions, as we all know. That’s almost a one-in-four return, a cup win for every four times we qualify. Even more impressively, we have won the cup five of the past 18-times we’ve qualified, and if we win a sixth crown this season, which is very conceivable, that would make it six titles in 19-appearances, almost a one-in-three return during that spell, which is bordering on insanely impressive territory. It would also be a second Champions League in eight trips, so these stats are not based on ancient history by any means. It’s a stat that also undoubtedly would be even greater had it not been for the Heysel Stadium Disaster banishing one of the greatest squads in European history in its prime. So how do those figures compare to the rest of England and the other European giants? Well, the rest of England isn’t even close. City and Spurs have no worthwhile Champions League legacy whatsoever, while United’s is that of an underachiever, and Arsenal’s one of an embarrassment. In what is now 28-appearances in the competition, United have just three titles, barely better than a one-in-ten return rate, having failed to take full advantage of a golden era domestically for the club in the 1990s and 2000s. Arsenal are even worse; the best they’ve ever managed is reaching just one final in 21-appearances, while recently becoming every team’s favorite date in the Round of 16. Chelsea, meanwhile, have played in the Champions League on 15-occasions, all of them since 2000, while winning it just once during that run. When it comes to Europe’s premier club competition, in fact, the only English team that can claim to match Liverpool’s rate of success is Nottingham Forest (two wins in three appearances). To put it further in perspective, think about it this way: Aston Villa have won the competition more times than Manchester City, Spurs and Arsenal combined. As for the rest of Europe, the top dogs certainly have enjoyed more recent success and dominance than the Reds, with Real Madrid and Barcelona splitting 10 Champions Leagues between them over the past 20-years. Real are the standard bearers with 12-titles in 48 total appearances prior to this year, which translates to a one-in-four success rate. That rate is even more impressive in recent times with six titles in the past 20 years. AC Milan historically also has a one-in-four success rate, with seven wins in 28 appearances. It’s no coincidence they’re the two most successful clubs in the competition’s history, but no one else really comes close to matching that at all. Barcelona have qualified 28-times and won on five occasions, one for every 5.6 appearances (albeit four of them since 2006), while Bayern Munich have five total titles in 34-appearances (one in every 6.8 trips). Much like United, the German club also have underachieved in the Champions League despite their recent overwhelming domestic dominance, winning just twice in the past 20-years. 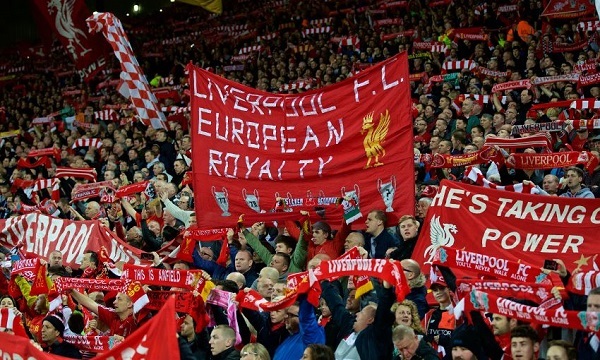 With those stats in mind, it’s no wonder Liverpool fans have a special affinity for Europe’s most prestigious club competition, and no surprise there’s always a special atmosphere at Anfield on European nights, an air of expectation that has fueled the tradition for generations now. It’s a unique sense of belonging no other English club can claim, something Liverpool have become accustomed to because of the success we have achieved and the success we have been conditioned to expect. It’s just as well Pep shaves his head. It prevented him from pulling his hair out while witnessing first hand just what Liverpool’s past European legacy means to the current team, how invaluable it is, and how the club continues to feed off of it. Pep could bring his spending spree to 600 million, and then spend 600 million more, and still he would never know what it’s like to enjoy that sort of tradition within an English club. That sort of special bond on a European night. The sort of special bond a team can’t help but thrive on. There’s something to be said for the Reds’ European legacy. As much as Klopp, Van Dijk or the outrageously brilliant Mo Salah, it’s one of the main reasons we’re back again among Europe’s elite. Back where history tells us we belong.